In early September, The Globe and Mail's Report on Small Business asked readers to nominate their favourite small businesses for our inaugural #remarkablebiz contest. We received over 120 nominations, not to mention hundreds of retweets. Following the initial nomination stage, we posted 65 semi-finalists to our Pinterest board and the community was given the opportunity to vote through Pins, likes and comments. We took your votes into consider when preparing the top-ten list. 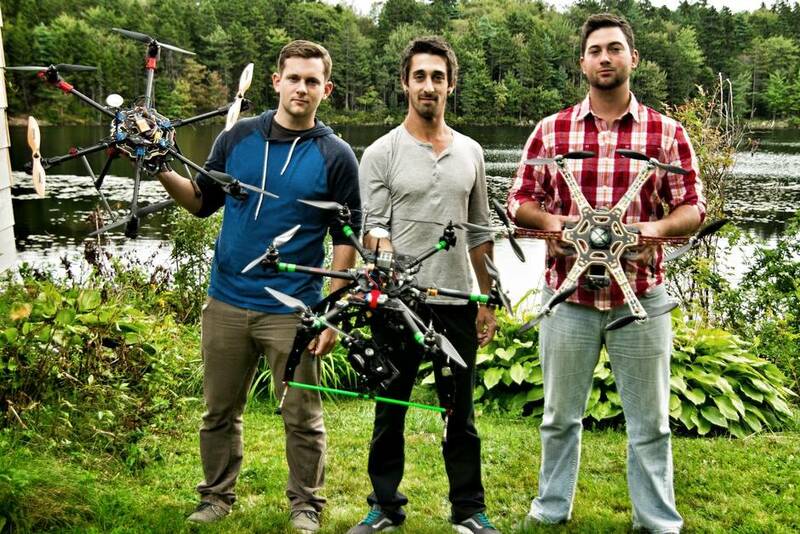 Elevator pitch: We’re a Halifax-based digital media company that specializes in Aerial services using unmanned aerial vehicles (UAVs), video production, photography and web design. We capture stunning content for businesses and create the space for it to live online. Skyline Studio was founded in the fall of 2013 and has quickly grown from 2 to 4 employees. Secret sauce: A huge part of our success has been working with a team that possesses an incredibly diverse set of skills. We’ve been early adopters of innovative technologies, we’re extremely creative and have an obsession with quality. We offer a finished product for our clients that would usually take three or four companies to produce. Culture: We deal with cutting-edge technology on a daily basis and it’s our business to stay ahead of the curve. We’re constantly scouring the web to learn about new innovations and how they could help us. Innovation, creativity and improvement is what drives us. Challenge: Strangely enough the Weather is one of our biggest challenges! Flying UAV’s is a large part of our business, and weather conditions can keep us from getting airborne. Another challenge we deal with is time-management. We’re a small company that’s growing fast so prioritizing and organization has kept us on track and moving forward. Advice: Advice that we would give to someone looking to start their own business is to Jump in and go hard. Running your own business requires dedication and a complete disregard for the Monday to Friday 9-5 work week mentality. Also, offer something new and create demand rather than just responding to it. 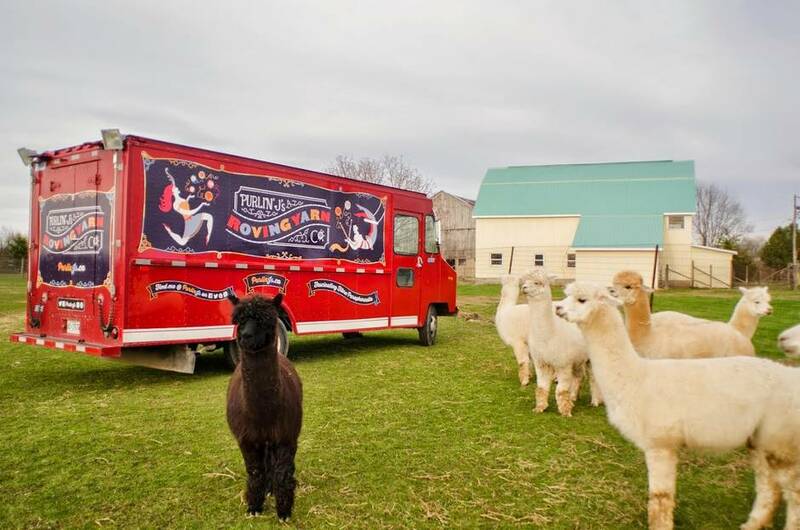 Elevator pitch: Purlin’ J’s Roving Yarn Company is Kingston, Ontario’s mobile yarn truck. Think gourmet food truck, only selling yarn instead! Purlin’ J’s satisfies the modern knitter’s craving for beautiful yarns when she/he is most relaxed and inspired to create something beautiful: at a music festival, studio tour, market or retreat. We were founded in 2013 and operate out of a former fire truck, a 1982 Ford step van, nicknamed Lil Dorothy. It is owned and operated by Joan Sharpe, aka Purlin’ J! Secret sauce: The truck at the very least is a curiosity. Everyone, knitter or not, wants to come on-board to see what it’s all about! Most especially though, yarn lovers yearn for the “squish factor": the ability to feel and “pet” fibres and bask in the range of colours. With the Purlin’ J’s brand, I strive to create a carefully curated selection of yarns, including luxurious hand-dyed yarns created right here in Ontario, and other “fascinating fibre paraphernalia”, in a small-scale, flexible, and novel retail environment that is responsive to the market. The truck can travel to communities where unique yarns are simply not available. But my regular customers also appreciate the personal shopping experience. Culture: I am the sole owner and operator, plus I have support and help from my family and friends and this means a lot to me. I’ve been lucky that I’ve had the ability to launch the business and test it while still working full-time. But the best thing about the yarn truck is that it’s fun, welcoming, and non-intimidating. I’d like to think that just by coming on-board, someone might get the spark to try working with yarn or fibre, if they’ve never done so before. Knitting is a proven stress-reliever! Challenge: Meeting demand – I’d love to take the yarn truck to all the places it’s invited, but fuel costs and wear-and-tear add up! I’d also like to have more time to think about long-term strategy and ways to scale the business. I have more innovative ideas that I want to explore, but only so many hours in a day. 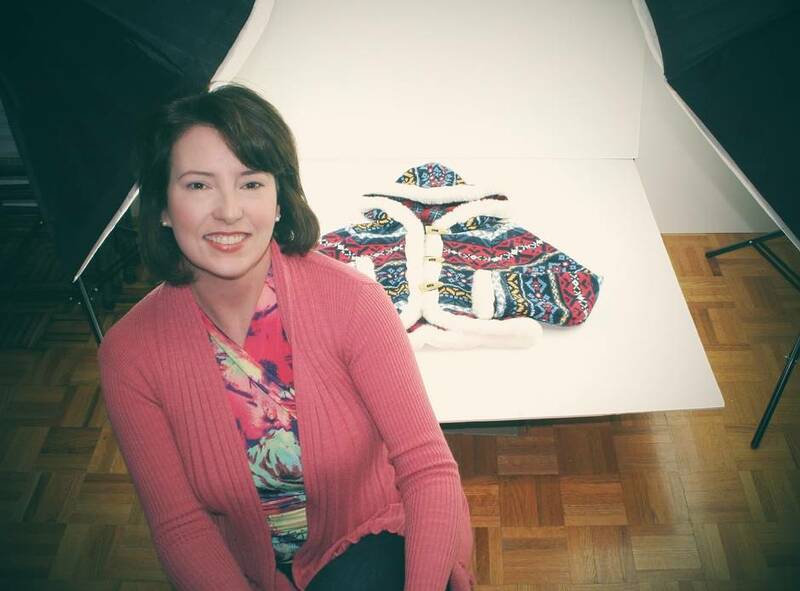 Advice: My creative background helped me visualize the business in action while still in the planning phase. I was then able to articulate my vision to everyone who helped me at start-up, especially my graphic designer! Remember that everything you do is essentially about satisfying your customer’s wants and needs. I have a bookkeeper so I don’t get bogged down by paperwork. I prefer to apply my time and energy to the more creative aspects of the business: social media, buying, visual merchandising, and event planning. Elevator pitch: eOLIO is an online service that provides a suite of tools and solutions for individuals to control and enhance their online brand. We make it easy for people to create professionally branded e-portfolios and for recruiters to locate, pre-screen and acquire talent through the automation of e-portfolios. 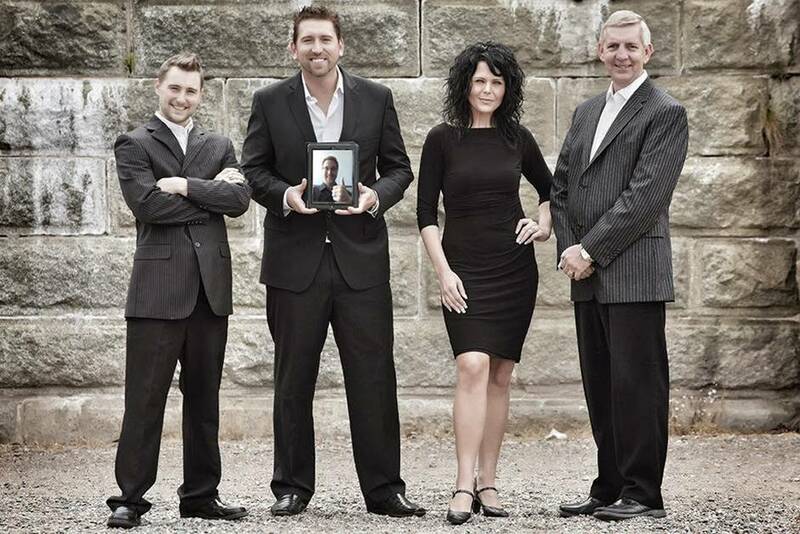 Founded in 2012, eOLIO INC. is a Halifax based SaaS Company with three employees, two advisors and a few strategic partners. Secret sauce: Tenacity. It’s one thing to have a great idea, it’s another to build it and see it come to life. It hasn’t been easy but we always believed in what we were doing and kept moving forward – no matter what. Instincts. It’s important to go with your gut. Trust it and run with it. Doubt is not our friend. People and partnerships. It’s vital to the success of any start-up to be able to pull in the right people at the right time. Resourcefulness. We’ve built our vision with very little debt and we still have equity left. And last but not least: Passion. Love what you do and try and do something that helps others. Culture: Our team might be small but we sure are mighty. We’re fast moving, multi-talented, movers and shakers. We work with our strengths, motivate each other and when start-up life gets tough – we know that we can always count on each other. Challenge: Definitely budgets or lack thereof. Fortunately, we’ve been able to access programs through various organizations and Government agencies and have raised a few early seed rounds. We’re currently raising 300k. Advice: Be strong. It’s not going to be easy, but it’ll be worth it. Keep believing, even when no one else does. Take action every day toward your goal. And whatever you do – never EVER give up. Elevator pitch: UPPERCASE publishes a quarterly print magazine for the creative and curious about design, art, craft and creativity, as well as books on creative topics. The magazine was launched in 2009 and has grown its readership to nearly 4000 subscribers worldwide. The magazine is currently a one-woman operation. Secret sauce: I wear many hats: editor and designer plus subscription and fulfilment management, e-commerce and website design, social media marketing and customer service are just some of the many areas I have learned and streamlined in order to run a profitable publication. The Alberta Magazine Awards honoured me as this year’s Editor of the Year and UPPERCASE as Magazine of the Year. The magazine has also received accolades for its design excellence. Culture: Though we’ve had a handful of employees over the years, in order to remain sustainable, I recently made the decision to return the magazines to its roots as a solo operation. I credit my husband, novelist Glen Dresser (the magazine’s other employee as a part-time writer and developer) and stay-at-home dad, for giving me the time to work on the magazine that supports our family. Challenge: Cash flow is always difficult since the production costs of printing the magazine are like purchasing a luxury vehicle every quarter. With more funding, I could invest in some help or technological developments, as well as produce more books for my readers. Advice: Do your research, understand your customers, get your production costs figured out and balance your knowledge and experience with your tolerance for risk. If you remain passionate about what you’re doing and thrive on getting things done (from the nitty gritty to the more gratifying, like designing a magazine in my case), then go for it! Elevator pitch: Founded in Montreal in April 2014, Changeroo.ca is an online store for used, like-new children’s clothing that is quickly becoming popular with parents, fashionistas, frugal shoppers, as well as ethically and environmentally conscious consumers. We provide high quality, top name brand clothing at low prices as an alternative to buying cheaply made “fast-fashion”. We sell our clothing at 75 per cent off the new ticket price and offer store credits in exchange for pre-loved children’s clothing in perfect condition. Items that do not meet the stipulated quality standards are donated to charity. Changeroo offers free shipping on orders over $40. Secret sauce: Closets don’t grow – kids do. Every parent must contend with storing many boxes of outgrown children’s clothing, either to be passed on or thrown out. Recognizing this to be a common problem for parents, Changeroo offers an uncommon solution. Changeroo accepts clothing in like-new condition in exchange for store credits to shop for a new wardrobe. Changeroo.ca provides a no-risk online shopping experience, as well as fast, friendly and helpful customer service. It’s also a fun, thrill-of-the-hunt shopping experience, as new items are added daily. 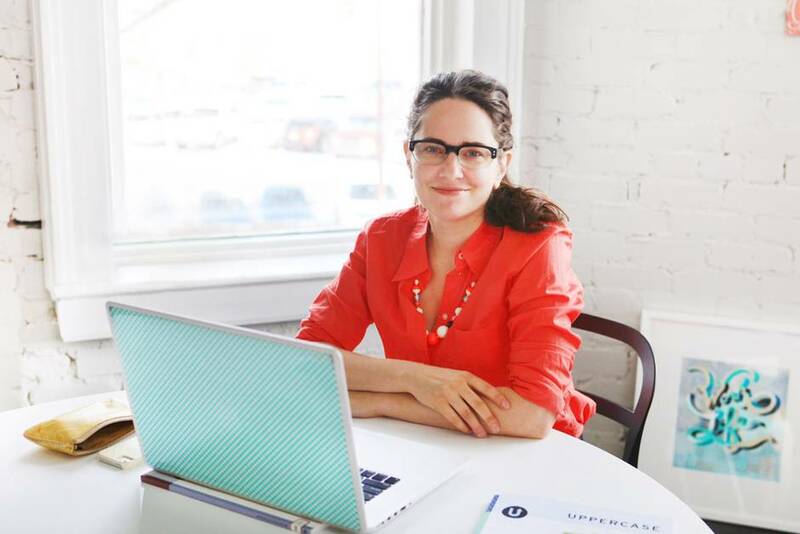 Culture: Changeroo.ca is run and operated solely by its owner, Liane Guimond. Everything from website management, content, photography, social media, advertising, sorting, buying, and customer service is handled personally by Guimond. Challenge: Advertising on a small budget. Getting the word out and drawing customers to the store on a dime has been difficult. So far, social media has been the most successful means of doing this. Social media has taken the “word of mouth” approach to great levels. Customers trust referrals from friends and family more than what they read in advertising, so it’s important to make a great impression and stay visible in social media platforms. It’s been vital to get a lot of “likes” and “shares” online. Advice: Hold back on advertising spending initially. Don’t pay a considerable amount on advertising until you have worked out the essential details of how you will run your business. After opening your business, you may decide to approach certain operations differently, put particular business policies in place, or even just change the look of your website. You only have one chance to make a good first impression, so make it count. It’s best to open “soft” and work out any bugs before you spend a large amount of money on advertising. 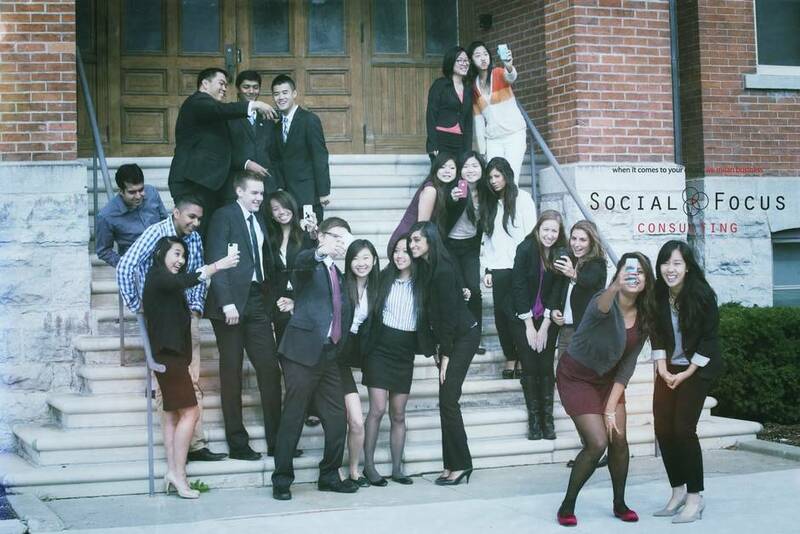 Elevator pitch: Social Focus Consulting helps Canadian non-profits raise more funds and awareness by combining the innovative ideas of our undergraduate business student consultants with the experience and guidance of their MBA mentors. Founded in 2011, we have 20 team members and have helped 15+ non-profits from London to Kingston, Ontario. Secret sauce: We believe people are much more than their resumes. Rather than hire consultants based on experience, our team looks for undergraduate business students who demonstrate high potential for emulating our values of excellence, progression, innovation, community, and fun. These students are mentored by more experienced MBAs who help them apply a business-based consulting process to produce the best outcomes for our non-profit clients. Culture: Although we work hard, we also play hard. 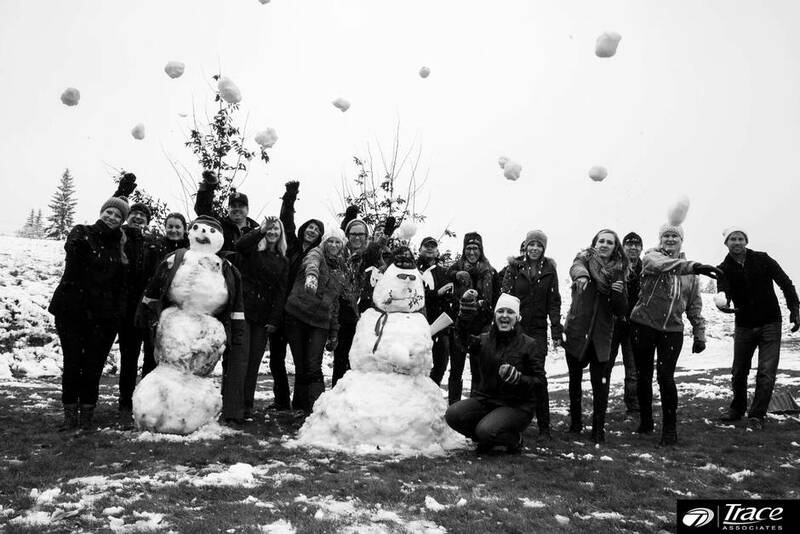 In fact, “fun” is one of our core values. This is reflected in everything we do, from team building exercises using Lego, team pics where we’re all wearing sunglasses or taking selfies, YouTube playlists of our team members’ favorite songs, socials at karaoke bars and yoga studios, to our unique version of the Harlem Shake. Challenge: Business development. We’ve addressed this recently by introducing a workshop service, a scaled down version of our long term premium service. The workshop shortens the sales and project cycles, allowing us to quickly generate more client success stories. For example, one of our workshop clients quadrupled revenues within months. We hope stories like this leads to more repeat business and referrals. Advice: You may have multiple business ideas. Narrow it down by finding the intersection of your passion, your skill-set, and greatest market opportunity. Lastly don’t do it alone. You don’t necessarily have to bring on partners, although it helps. At the very least, get continuous feedback from friends and colleagues on everything from branding to financials, and keep the business moving forward. Elevator pitch: Well.ca has been making the lives of busy Canadians easier since 2008. Headquartered in Guelph Ontario, we employ over 100 employees spread between our Guelph and Toronto locations. 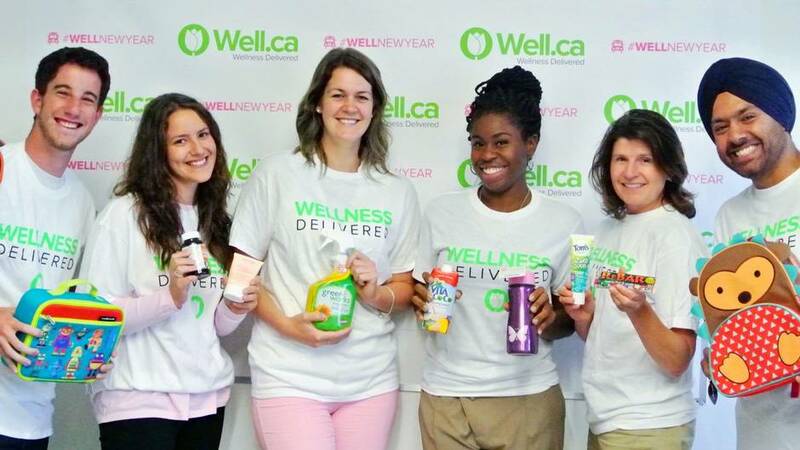 We’re Canada’s online destination for health, beauty, home and baby products and offer over 50,000 products with free shipping on orders over $25. We also have Canada’s largest online assortment of Green & Natural products. Secret sauce: The right people: we have a truly excellent team that challenge and push each other on a daily basis. Focus on customers: We go out of our way to delight our customers – from the handwritten note on every order to special events and targeted promotions. We also make things right when things go wrong. Our Customer Care team do everything to make our customers’ order go smoothly, from providing product information to placing and tracking orders to just being a friendly voice. Test and learn mindset: If something isn’t working we try something new. We do a lot of testing on everything from products to email headlines. There’s always room for improvement. Challenge: Like all small businesses, we have limited resources and so we are constantly making tradeoffs on where to invest (both in people and capital). We frequently evaluate where our investments are going to generate a greatest return, whether it is how a team member spends their time or whether to invest in new and exciting marketing platform we should invest in.Saying no has also always been a struggle. There are hundreds of great ideas that come to us every month and we want to tackle them all. With limited resources we have to say no sometimes – even when we think we can’t. Advice: Make sure you have a clear vision of where you’re headed, but remember to be flexible. Learn from your experiences (and your mistakes!) and don’t ever be afraid to course-correct along the way. There are no slam-dunks in business. 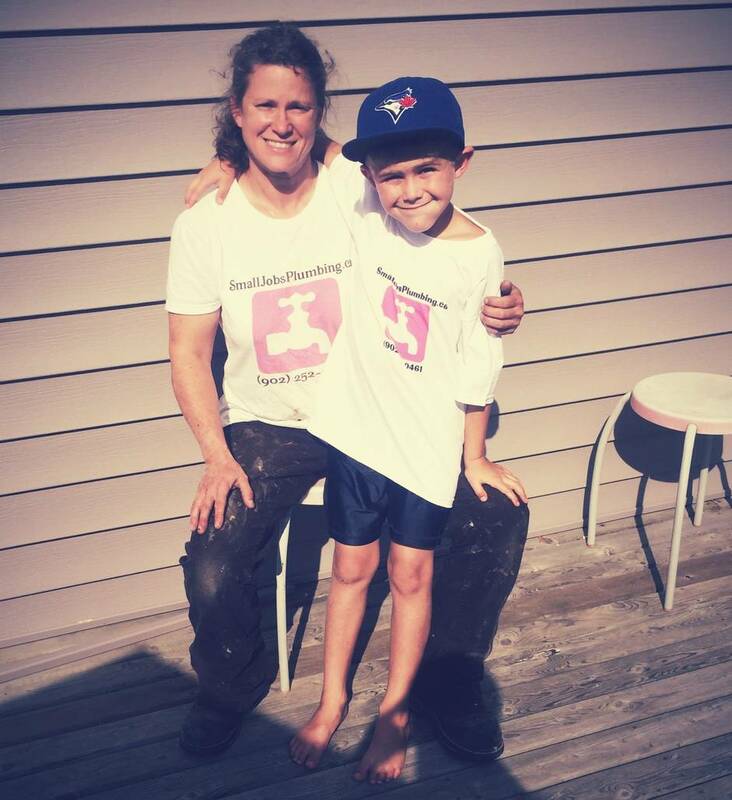 Elevator pitch: Small Jobs Plumbing is the only women-owned and operated plumbing company on Canada’s East Coast, in Halifax, NS, celebrating one year in business in January 2015.We provide quality work at affordable prices because we believe all homeowners should have access to a safe and properly operating plumbing system. Tammy is Red Seal certified, the standard of excellence across Canada. She was recruited by Quick Contractors to become part of their installation team, providing plumbing services to customers of businesses like Home Depot, Sears and Future Shop and is the only licensed female plumber on their Canadian team. Secret sauce: Small Jobs Plumbing created a niche market by offering services that many larger plumbing companies would rather not take on. Tammy focuses on jobs that can be completed in a day or less, and at a price her competitors with more overhead could not afford to offer. Because women, by majority, make arrangements for plumbing services, we’ve heard numerous times that they appreciate having a female plumber come to their home. We’re so busy we’re booking about a week in advance. Culture: Small Jobs Plumbing was born of difficulty. Despite eight years of experience, Tammy was only being paid $20 an hour, while co-workers hired after her were being paid more. With the cost of living continuing to increase, and no raises to keep up with them, Tammy was in jeopardy of losing her family home. Understanding the challenges associated with home ownership and limited income, Tammy committed to providing a quality service that more could afford, offered by a qualified professional, not underground contractors. Customers are our first priority, second even to profits. Challenge: Starting with a financial deficit has been our biggest challenge. It’s incredibly expensive to operate a professional plumbing service.We had no resources to promote ourselves in advertising, outside of business cards and t-shirts. We’ve relied on social media to get our message out, with great success, taking advantage of the lack of presence of our competitors there. However, we’re still new enough, and recouping startup costs, that we cannot afford a professional website. Advice: We would probably tell folks getting ready to start their own business that it is far more work than you could ever be prepared for. We’d be honest about the sacrifices you have to make in your early days to help ensure success. We would also tell them that it is absolutely worth it, especially when your efforts are rewarded by great customer reviews and referrals. Another important message is accepting the moments of doubt and fear. It’s a courageous step to become an entrepreneur, and sometimes that courage waivers, but if you don’t give up, provide an exceptional product or service, you will reach the day you know you made the right decision. 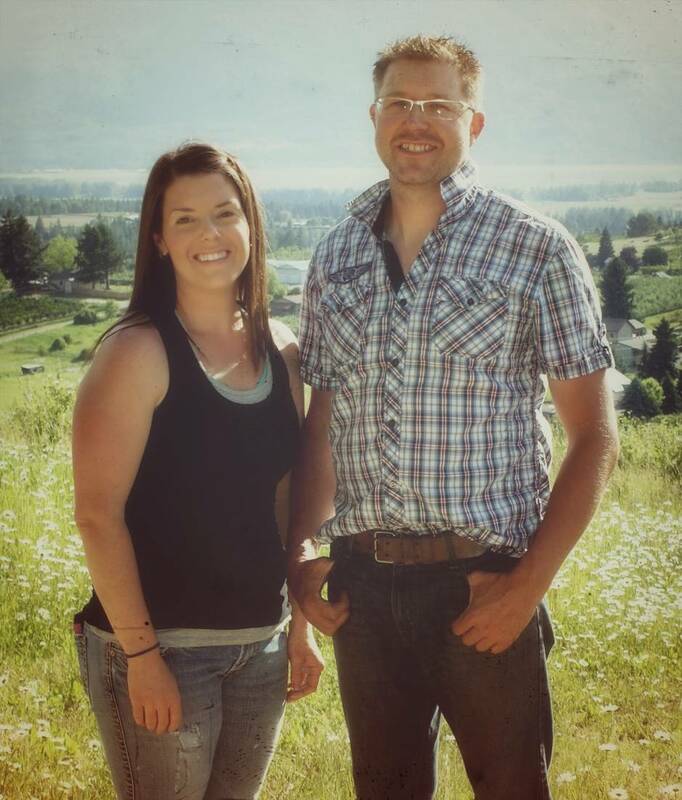 Elevator pitch: JRD Farms sells fresh fruit locally and at the Creston Valley Farmers’ Market. The value added products are produced under the company name William Tell; we use our apples and pears to produce Mad Trapper Old Fashioned Apple Cider and William Tell, Sparkling Old Fashioned Apple and Pear Cider. There are currently only two employees that work for JRD Farms/William Tell Family Estate. Secret sauce: Our secret is to provide products that are unique and hand crafted that are produced from our own fruit and we try to provide the best customer service and fresh fruit that we can. Being a small business we are able to control every part of the operation from growing the fruit to bottling it and selling it. We want to produce products that we are proud of and would want to buy and give to family and friends as gifts. Culture: We have a very relaxed day by day culture and try not to stress about things, farming is too unpredictable too waste energy on things we can’t control. We are lucky because there are only two employees and we both have the same goals in mind. We know when certain tasks have to be completed and we aim for those dates. Challenge: Our biggest challenge is getting financing to take the next big step and purchase equipment that is more efficient, that is capable of producing more product for us in a shorter period of time. Being a small business it is hard to get banks to take us serious and especially being an agriculture business most banks stay away from those two types businesses put those two things together and the banks run away from small agri-business. As it is right now we can not produced enough Sparkling Old Fashioned Cider to meet the demand if we had more efficient equipment it would make it possible to produce more cider in a shorter amount of time freeing up more time to do other jobs. Advice: Our motto is that “The Impossible Just Takes Longer” this is how we operate, people will tell you it won’t work or that it has been tried before but don’t give up and push forward. We also tell people to start small and only spend what they can until they know that the idea is profitable and then expand. We like to tell people that “Time Will Tell” you never know what will happen until you try it. Produce a product that you are passionate about and believe in. We didn’t have a business plan when we started we just had an idea and went for it and didn’t look back. You don’t have to be an expert in all of the areas of the business, but the things you aren’t an expert in find the people that are. Elevator pitch: Trace Associates Inc. (Trace) is a boutique employee-owned environmental science and consulting company. Trace started in 2006 with two people in a one-room office in Calgary. Today we have grown to more than 60 people in four locations in Alberta, one in Saskatchewan, and one in BC. We love our careers, and we work hard and have fun. Secret sauce: Trace is loyal to our clients, suppliers, and employees. We believe in our people. First, we hire top performers and support them so that they want to spend their careers with Trace. Second, we value our clients. We ask clients what they need to be successful and find creative ways to meet their needs. We also check in with our clients to find out how we are doing and what we could do better to serve them. We are always striving to improve. Finally, we follow through on our commitments to clients, suppliers, and employees. Culture: Trace genuinely cares about our employees. Trace folks often refer to one another as their ‘Trace family’. Our partners are personal friends. We have a ‘family first’ culture. We want people to attend their important family events. We work hard to provide a transparent, supportive, and engaged work place. Work is a big part of lives, and we need to have fun. Trace celebrates the small and big successes we have professionally and personally. Challenge: Timely and effective communication is one of the most challenging elements for a successful business. As Trace grows across provinces and offices, we make great efforts to stay in touch with our folks. We use face-to-face communications whenever possible. If that is not possible, we use phone and texts as a quick way to chat. E-mail is our least preferred communication tool among our employees. Trace believes that a phone conversation is more effective and timely than an e-mail. During decision-making, we encourage all of our employees to express themselves and participate in the process. Advice: Make sure you are doing something you love doing. Starting a business requires more persistence and hard work than we often anticipate. You need to surround yourself with a great support network. Human tendency is to be cautious and respond slowly to new ideas. Being an entrepreneur inherently means that you are taking on unusual amounts of risk. People may tell you the risk is too great. You need mentors who will help you steer through challenges to reach success. Surround yourself with great people.